While there were questions coming out of college about Ohio State quarterback Cardale Jones’ ability to run an NFL offence, the Buffalo Bills coveted his immense physical gifts enough to draft him in the fourth round. Jones has evidently been demonstrating that ability in offseason workouts. The Bills’ Twitter account posted a video Wednesday of Jones easily tossing balls from beyond the 50-yard line into a standing net. It certainly looks like the strength and accuracy are there, even if there aren’t any defenders. 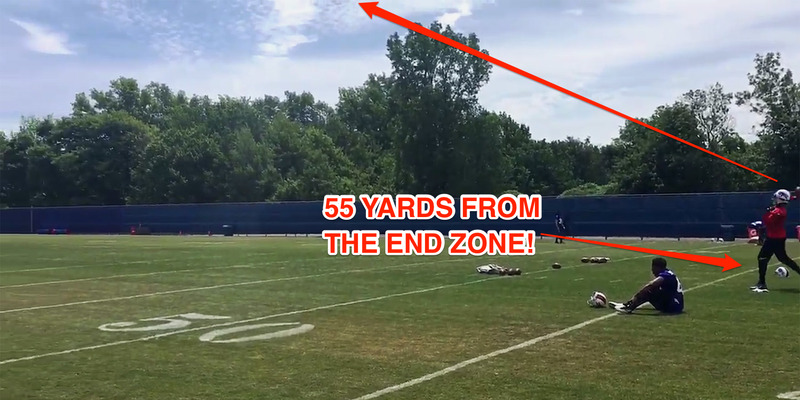 This kind of target practice is also used by some of the NFL’s top quarterbacks like Aaron Rodgers and Ben Roethlisberger, so if Jones can perfect this drill, he can rest assured that he’s in good company.